A new year is almost here, a new year of more art than you knew existed in Florence to discover! Florence is home to priceless treasures and masterpieces and you’re likely already including several in your itinerary. In addition to a museum’s permanent collection, most of the major state museums in Florence organize major temporary exhibits throughout the year. You’ll thus get a chance to see a collection of works from across Italy and the world come together under a specific theme or for a single artist. For 2015, there are 8 major exhibits planned across the State museums in Florence. This is not an extensive list of all of the other exhibits organized in the city and smaller museums but we’ll write about those later on. You can always check what is currently on in our articles on exhibitions in Tuscany and for Florence here. 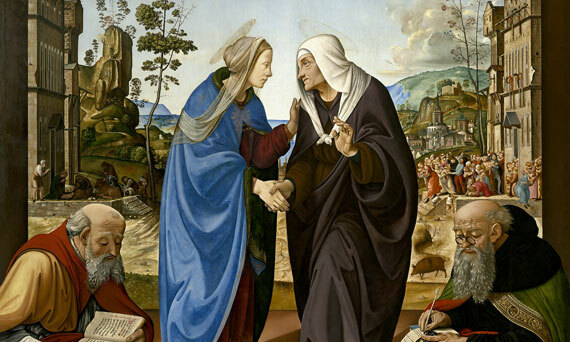 Without further ado, here is a preview into the exhibitions that will be held in 2015 at the Uffizi Gallery, Accademia Gallery, Bargello, and Palazzo Pitti museums – the Palatine Gallery, the Gallery of Modern Art and Silver Museum. 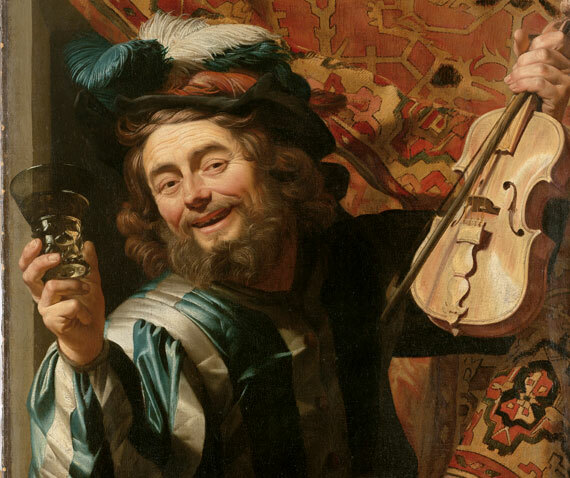 In the first exhibition ever dedicated solely to the work of Gerrit Honthorst, known as Gherardo delle Notti, the Uffizi Gallery will be exploring the painter’s presence in Italy in the early 17th century. In particular, the artist received an enthusiastic reception in Florence with the Medici purchasing four of his large canvases for their collections. Gerrit’s work will be shown alongside that of other painters from the Netherlands who, like the artist, also devoted much of their careers to exploring the rendering of light. Gherrit’s work, you’ll be able to see, got “lighter” after the time he spent in Italy. The second exhibition of the year at the Uffizi is another one fully dedicated to another artist, this time to Piero di Cosimo, a brilliant, eccentric Florentine painter who lived in the 15th and 16th centuries. The show seeks to show visitors the full extent of his inexhaustible creativity, responsible for producing rare (even extremely rare) subject matter painted with visionary singularity. One has but to think of his “History of Primitive Man“, a subject never addressed either before or after by any other Renaissance painter. This should be an extraordinary exhibit with about 100 works, many of which now reside abroad. As partner in the exhibit, the Nationaly Gallery of Washington DC will be hosting the same exhibit first, from February 1st through May 3rd. The Accademia’s first exhibition starts in the medieval era, exploring the origin of one of the greatest religious and cultural phenomena in Western and world history: the Franciscan movement. 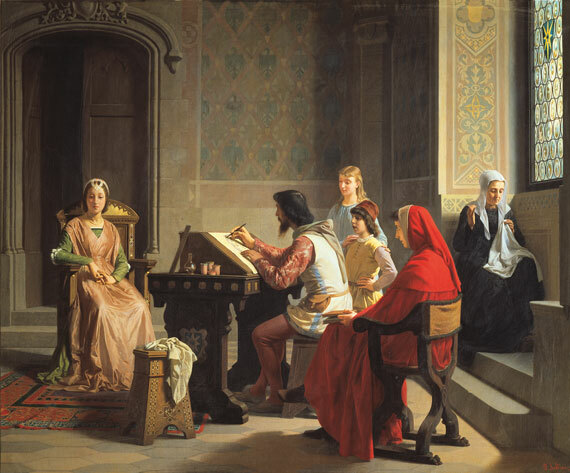 The movement made an incredible contribution not just to religion but to art as well, as it spread like wildfire to the East as far afield as China itself, and Franciscan friars commissioned works for their churches and convents. The second exhibition at the Accademia is devoted to Carlo Portelli, another Florentine painter who reveals his highly advanced mastery of the “modern manner” at the height of the 16th century. His paintings are often crowded with figures, as we can see in his Immaculate Conception in the Accademia itself and, to an even greater extent, in his tortured Martyrdom of St. Romulus in Fiesole. The selection of works by the artist will reveal his tireless search for a refined, complex elegance. One of his latest works in Florence can also be admired at Palazzo Vecchio, within the Prince’s Study just off the Salone dei Cinquecento. 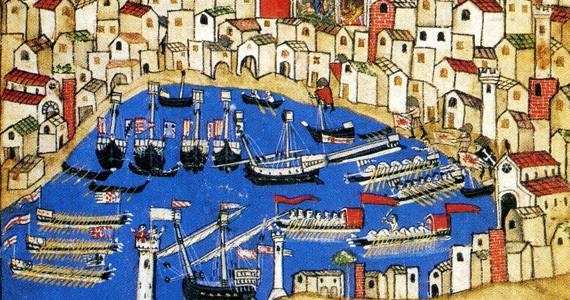 To mark the 150th anniversary of its foundation, the Bargello National Museum has created an exhibition in collaboration with several other European museums to dedicated to some of the loftiest aspects of medieval civilization revolving around the notion of travel. 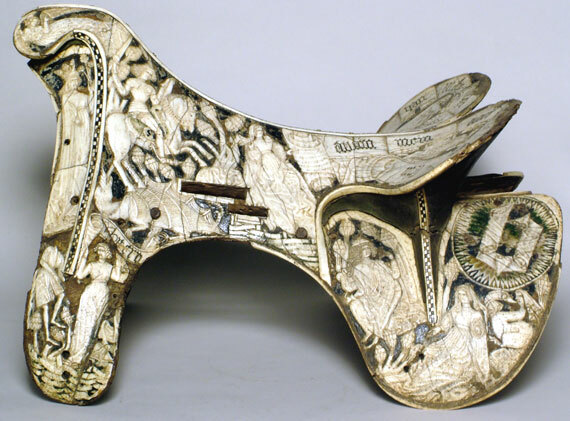 This in various aspects – from geographical maps representing the world, to the pilgrimages and crusades that were taken in the name of salvation of the soul and for religion, from commerce to entire courts migrating from one house to another to display a fascinating array of everyday items and works of art of the period. The exhibition at the Silver Museum will be devoted to lapis lazuli, a material of interest to artists throughout Europe and much even further afield. 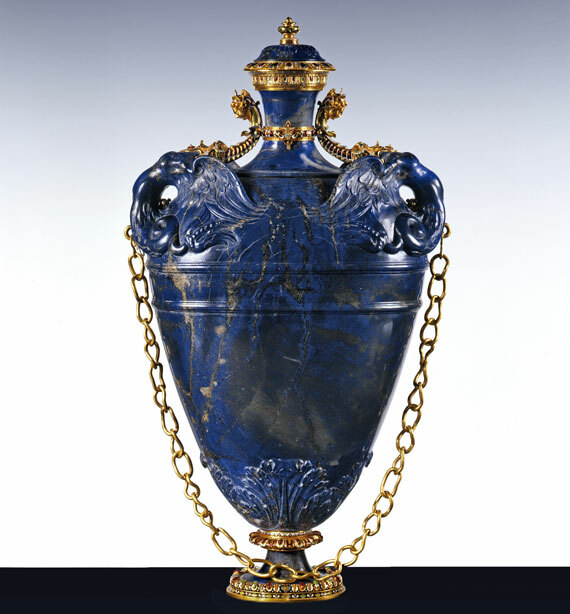 The stone was frequently imported from the heart of Asia, and not only played a role in the creation of splendid and valuable works of art (such as the vase above) but also served, after being ground to a powder, as one of the most regal and costly of pigments along with gold for painters to use on their masterpieces. Known as natural ultramarine blue, it was used to evoke the loftiest spheres of heaven and to clothe the divine. 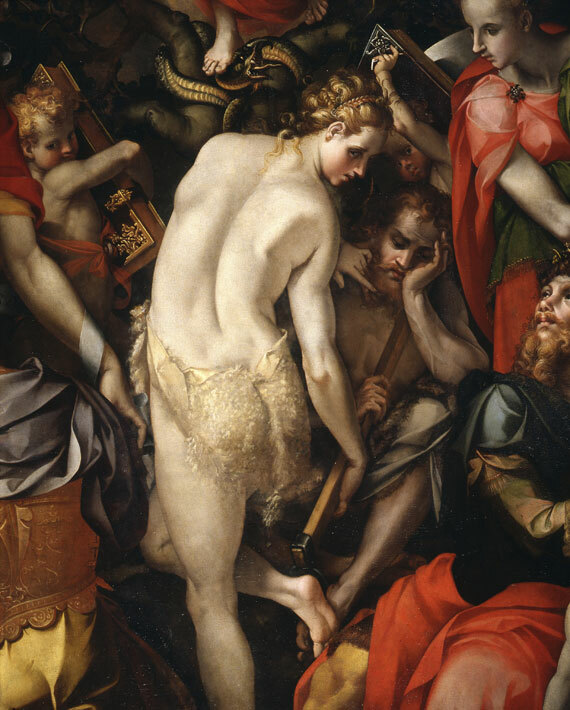 You’ll have ample chance to see this in the works of art spread across the Palazzo Pitti’s museums as well. With Carlo Dolci, we enter the artistic and religious life of the Florentine court at the height of the 17th century, at that time presided by the Grand Duchess Vittoria Della Rovere. The polished beauty of Dolci’s painting, immersed in a translucent light, served to produce delicate religious images from which critics in later centuries may have marked their distance, but which earned him admiration and popularity in his own day. By the same token, his exquisitely painted floral still-life now in the Uffizi Gallery was equally well received and acclaimed. The Modern Art Gallery will continue to delve into the depths of the collections that it has been putting together since it was founded in 1914 (this year it celebrated its own 100 years) to celebrate the 150th anniversary of Florence’s designation as the capital of a newly united Italy. It will do so by staging an exhibition devoted principally to the works of art and furnishings acquired by King Victor Emmanuel II for his sumptuous Florentine residence right in Palazzo Pitti during the years that he spent in the city. This list comes to an end as far as the State museums go. Since 2015 brings a major spotlight to all of Italy through Milan’s Expo 2015, Florence’s many other state and city museums (and across all of Tuscany) will be hosting special exhibits and events with the Expo’s theme – Feeding the Planet, Energy for Life – as their source of inspiration. We will keep you updated on those as we learn about them! Please make a note that when a temporary exhibition is in place, the cost of the base admission ticket goes up for all of the museums. The exhibits are within each museum and cannot charge separate fees, even if you’re not interested in stopping and seeing the temporary exhibit. But seeing the variety and interesting collection of works they bring together, we highly recommend you mark some time to be spent in these special sections of each of the museums you visit!